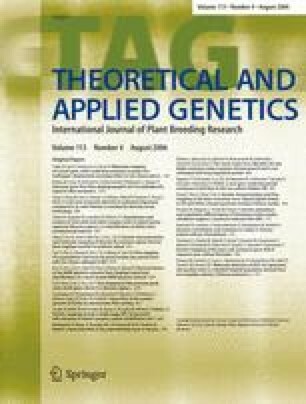 Understanding the distribution of genetic diversity among individuals, populations and gene pools is crucial for the efficient management of germplasm collections and breeding programs. Diversity analysis is routinely carried out using sequencing of selected gene(s) or molecular marker technologies. Here we report on the development of Diversity Arrays Technology (DArT) for pigeonpea (Cajanus cajan) and its wild relatives. DArT tests thousands of genomic loci for polymorphism and provides the binary scores for hundreds of markers in a single hybridization-based assay. We tested eight complexity reduction methods using various combinations of restriction enzymes and selected PstI/HaeIII genomic representation with the largest frequency of polymorphic clones (19.8%) to produce genotyping arrays. The performance of the PstI/HaeIII array was evaluated by typing 96 accessions representing nearly 20 species of Cajanus. A total of nearly 700 markers were identified with the average call rate of 96.0% and the scoring reproducibility of 99.7%. DArT markers revealed genetic relationships among the accessions consistent with the available information and systematic classification. Most of the diversity was among the wild relatives of pigeonpea or between the wild species and the cultivated C. cajan. Only 64 markers were polymorphic among the cultivated accessions. Such narrow genetic base is likely to represent a serious impediment to breeding progress in pigeonpea. Our study shows that DArT can be effectively applied in molecular systematics and biodiversity studies. Supplementary material is available to authorised users in the online version of this article at http://dx.doi.org/10.1007/s00122-006-0317-z. The authors would like to thank Dr. K. B. Saxena of ICRISAT, Patancheru, India, and Sally Dillon of ATGCRC, for providing seeds; Dr. H. D. Upadhyaya of ICRISAT, for providing pedigree information; Dr. Rongbai Li, Ms Yuanhua Chen of Guangxi Academy of Agricultural Sciences, Nanning, China and Ms Jianping Guan and Mr. Long Yuan of Chinese Academy of Agricultural Sciences, Beijing, China for helping with DNA extraction; Ms Vanessa Caig and Ms Margaret Evers, for technical help; Mr. Cyril Cayla, Mr. Grzegorz Uszynski, Dr. Yuantu Huang and Damian Jaccoud for help with data analysis. We thank all the other colleagues at DArT P/L for helpful discussions. Special thanks to Center for the Application of Molecular Biology to International Agriculture and The Finkel Family Trust for financial support for Shiying Yang.